Vatican City, 17th December 2013 (VIS) – The Holy Father has written a letter to Fr. Jose Narlaly, minister general of the Order of the Holy Trinity for the Redemption of the Captives, to commemorate the eighth centenary of the death of its founder St. Juan de Mata, and the fourth centenary of the passing of St. Juan Bautista de la Concepcion, reformer of the order. Vatican City, 24th November 2013 (VIS) – This morning the Holy Father received in audience the Year of Faith volunteers in the Sala Clementina of the Vatican Apostolic Palace. “In this time of grace”, he said, “we have been able to rediscover the essential nature of the Christian path, in which faith, along with charity, occupies the primary position”. Vatican City, 24th November 2013 (VIS) – This morning, solemnity of Christ King of the Universe, the Holy Father Francis presided the Mass in St. Peter's Square on the occasion of the closing of the Year of Faith, inaugurated by Pope Benedict XVI on 11 October 2012, the fiftieth anniversary of the opening of Vatican Council II. The cardinals, patriarchs and major archbishops of the Oriental Catholic Churches, the archbishops and bishops concelebrated with the Holy Father. 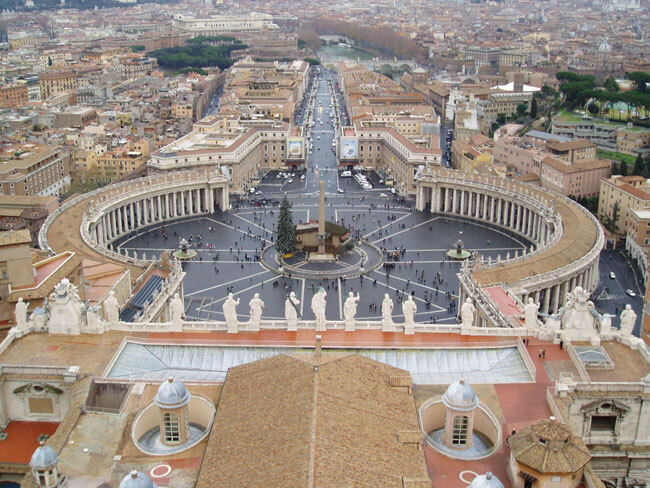 Vatican City, 20th November 2013 (VIS) – The forgiveness of sins, with reference to the so-called “power of the keys”, biblical symbol of the mission Jesus gave to the Apostles, was the theme of the Pope's catechesis during today's general audience in St. Peter's Square this morning. Vatican City, 20th November 2013 (VIS) – Following today's general audience, Pope Francis greeted the pilgrims gathered in St. Peter's Square. He recalled the victims and families of those affected by the floods that have claimed many lives on the Italian island of Sardinia. Vatican City, 13th November 2013 (VIS) – In the catechesis of this Wednesday's general audience, the Pope continued his reflection on the articles of the Creed. This time he spoke about the only explicit reference to a Sacrament in the profession of faith: “I believe in one Baptism for the forgiveness of sins”. In effect, Baptism is the “door” to faith and Christian life, and the mission of the Church, following the mandate of the Risen Christ is “to evangelise and to forgive the sins through Sacramental Baptism”.